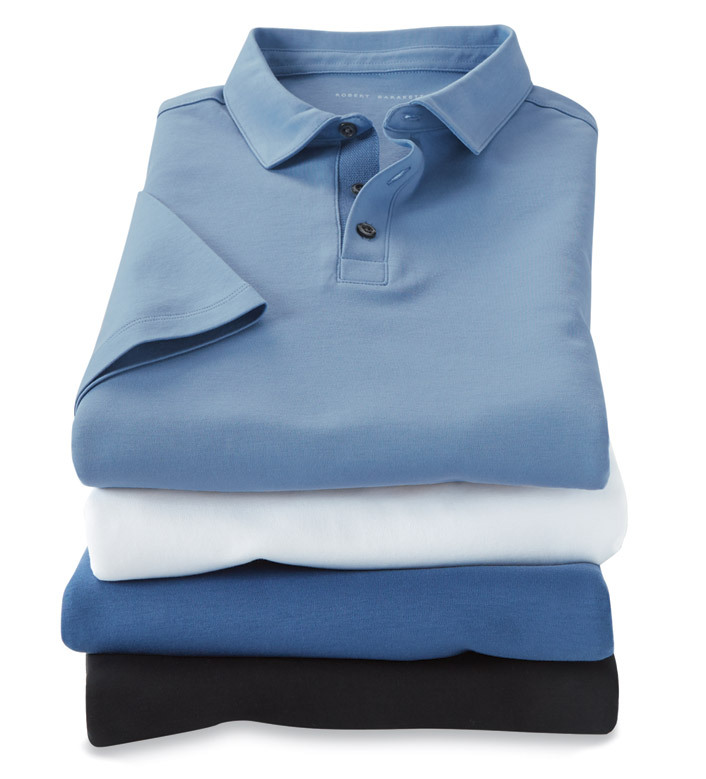 Modern classic in soft, 100% pima cotton. Short sleeves, three buttons, contrast placket, topstitching detail, straight hem with side vents. Machine wash. Imported.